BONNE TERRE, Mo. 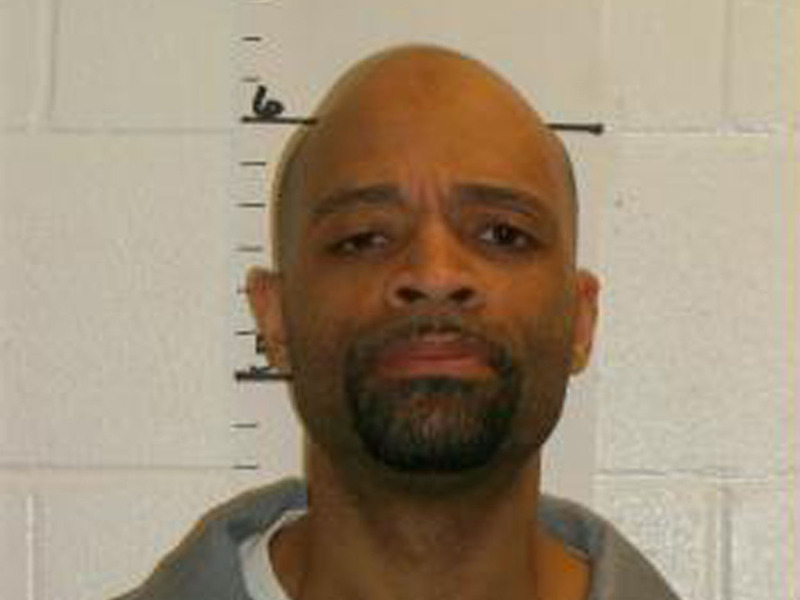 -- A Missouri inmate was put to death Wednesday for killing two people during a restaurant robbery in 1998, the eighth execution in the state this year and the 10th since November. Earl Ringo Jr., 40, and an accomplice killed delivery driver Dennis Poyser and manager trainee JoAnna Baysinger at a Ruby Tuesday restaurant in Columbia in the early hours of July 4, 1998. Poyser and Baysinger were shot to death at point-blank range. The Department of Corrections said Ringo was executed at 12:22 a.m. by lethal injection and pronounced dead at 12:31 a.m.
Courts and Gov. Jay Nixon had refused to halt the execution over concerns raised by Ringo's attorneys who, among other things, questioned Missouri's use of a pre-execution sedative, midazolam. Attorneys argued that the drug could dull Ringo's senses and leave him unable to express any pain or suffering during the process. Midazolam has come under scrutiny after it was used in problematic executions earlier this year in Ohio, Oklahoma and Arizona. In each case, witnesses said the inmates gasped after their executions began and continued to labor for air before being pronounced dead. A clemency petition to Nixon had also cited concerns about the fact that Ringo was convicted and sentenced to death by an all-white jury. At a press briefing at the execution site, Jama Brown, who was married to Poyser when he was killed, read a statement saying in part, "Please do not make this about how executions shouldn't take place. Put your effort on how we can stop people from committing these terrible actions. If this person hadn't tried to take what wasn't his, he would have been able to live his life. Our families would be back to normal. "We must stop these senseless crimes, if we can't, then we have to have punishment strong enough to make people think about the consequences of their actions. Remember, he has been able to live another 16 years! That is way too long for the state of Missouri to have supported him! Things have to change. People need to respect people and evil should not win!" Ringo Jr. left a final written statement from the Holy Quran that said in part, "O my Lord bestow wisdom on me, and join me with the righteous. Grant me honorable mention among the tongues of the later generation. Make me one of the inheritors of the Garden of Bliss." On July 3, 1998, Ringo shared with Quentin Jones his plan to rob the Ruby Tuesday restaurant in Columbia, where he once worked. Jones agreed to join him. Before sunrise on July 4, Ringo and Jones hid behind a grease pit in the back of the restaurant. Poyser and Baysinger arrived and entered the restaurant. Ringo followed them and shot Poyser, 45, killing him instantly. He ordered Baysinger, 22, to open a safe. She pulled out $1,400 and gave it to him. Ringo gave the gun to Jones, who stood with the weapon pointed at Baysinger's head for a minute and a half before pulling the trigger. Interviews with restaurant workers and former workers led police to Ringo, according to Kevin Crane, who was the Boone County prosecutor at the time. Detectives found a blue ski mask, gun receipt, bulletproof vest and other evidence at the home of Ringo's mother. Ringo admitted to the robbery but claimed the shootings were in self-defense. He was convicted in 1999 and sentenced to death. Ringo's attorneys had asked a federal appeals court to postpone the execution until a hearing over Missouri's use of midazolam. Attorney Richard Sindel claimed that Missouri's use of midazolam essentially violates its own protocol, which provides for pentobarbital as the lone execution drug. St. Louis Public Radio reported last week that Missouri administered midazolam to all nine inmates put to death since November. Corrections Department spokesman David Owen said midazolam "is used to relieve the offender's level of anxiety" and is not part of the actual execution process. The execution was one of two scheduled for Wednesday in the U.S. Texas was scheduled to execute Willie Trottie later in the day for killing his common-law wife and her brother in 1993. Trottie's execution would be Texas' eighth this year. Florida has performed seven executions in 2014, and all other states have a combined six.